Impulse Engine Technology has developed 2 new technologies, Negative Pressure Supercharging and Emission Vapouriser Muffler that can save Chrysler, GM, Ford and millions of jobs, reduce global fuel consumption by 20-30% and global air pollution by 80-99% and allow the automotive industry to prosper for the next 50 years or more. The NPS process and EV muffler meet a need to substantially improve the fuel efficiency and emissions of not just new vehicles but also the 800 million older vehicles currently in use worldwide. 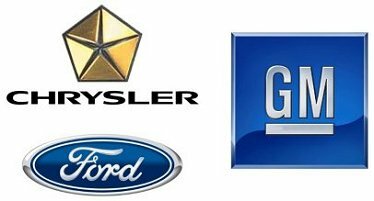 Therefore, the high demand and enormous number of vehicles that can be fitted with these new technologies would allow Chrysler, GM and Ford to generate a substantially higher income through their aftermarket divisions than building new vehicles. This would also require the big 3 and many thousands of aftermarket businesses to employ more workers to meet production and instalment of these new technologies to vehicles from cars, trucks, motorcycles, boats to planes. As a result this can sustain the big 3 during times when building vehicles are less profitable and generate many thousands of new jobs in the industry. The incentive for owners of older or new vehicles to use these new technologies is the NPS process improves fuel mileage by 20-30%, produces faster acceleration, a lot more towing power, substantially reduces toxic emissions and costs approximately US$300-500 for stage 1. The incentive to use the EV muffler is it improves power and fuel mileage by 3-5%, substantially reduces toxic emissions and noise and costs approximately US$30-60. Other technologies such as hybrid, electric or fuel cell vehicles may be a good idea in theory but in reality they are NOT the solution to more fuel efficient and cleaner vehicles for the following reasons. These complex technologies, 1) can NOT be applied to the world’s 800 million vehicle population, 2) can be applied to only small vehicles which, a) contribute 10% to global fuel consumption and air pollution and b) would take more than 30 years to replace and 3) are expensive gimmicks to, a) give the illusion of solving the problem and b) help the green image of automakers. As a result hybrid, electric or fuel cell vehicles have NO immediate or major impact in reducing global fuel consumption and air pollution. Therefore, the immediate and cost-effective solution to more fuel efficient and cleaner vehicles is the NPS process and EV muffler. This is because these new technologies are affordable and can be immediately fitted to the world’s 800 million vehicle population to make them a lot more powerful, fuel efficient and cleaner than modern vehicles. As a result the NPS process and EV muffler is able to, 1) substantially reduce the global fuel consumption and air pollution produced by 100% of the world’s vehicle population over the next several years, 2) keep the automotive industry thriving for the next 50 years or more and 3) generate many thousands of new jobs.